A former deputy head has been suspended from teaching for six months after she lifted a six-year-old boy by the armpits and carried him into a school. Deborah Ellis said she feared for the boy's safety at Hafod y Wern primary in Wrexham, because he was lying in the sun and refusing to move. 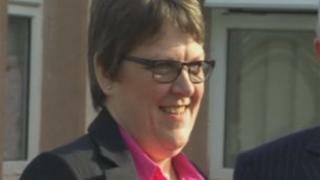 But the General Teaching Council for Wales said Mrs Ellis, 51, of Mold, Flintshire, used inappropriate force. Mrs Ellis was sacked after the incident and later claimed unfair dismissal. But an employment tribunal was told in March that a confidential settlement had been reached before any evidence was heard. At the time her solicitor said she had suffered a grave injustice. Upholding a series of allegations resulting from the incident at the school, the professional conduct committee of the General Teaching Council for Wales decided they amounted to unacceptable professional conduct. It ruled that Mrs Ellis would only be able to resume teaching after she had satisfactorily completed courses in "challenging behaviour and physical intervention". The committee, sitting in Ewloe, Flintshire, reached its decision after watching a CCTV recording of some of the alleged incident in June 2010, in which Mrs Ellis and a colleague carried the boy into school. Committee chair Rhiannon Streets said there had been "other options" other than physical intervention. Mrs Ellis had lifted and carried the boy with a school colleague. Mrs Ellis did not attend the hearing and was not represented by a solicitor, but her evidence was read out. She said her over-riding objective was to have pupil A, as the boy was known during the hearing, "safe and sound" inside school. She insisted she had not physically or emotionally abused the boy. Police had taken no action.